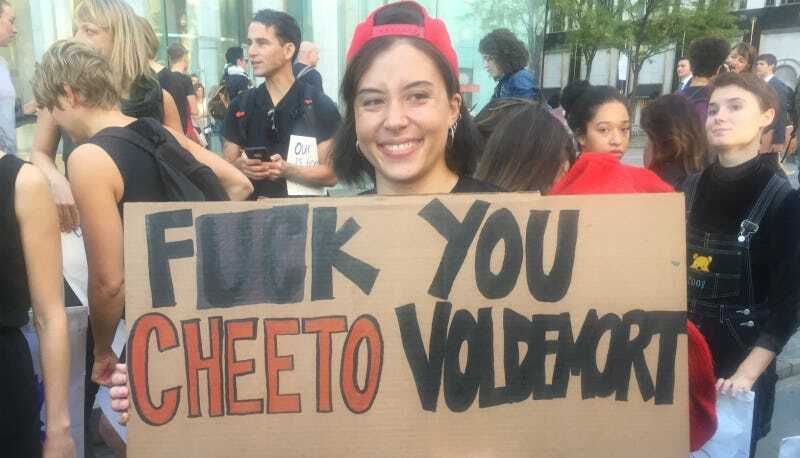 A Philly protester maintains that Trump gives her yeast infections, which, you know what? Plausible. Protests are also planned today in Washington D.C., Boston, Denver, Seattle and Oakland. Meanwhile, Trump is continuing to claim that “voter fraud” and a rigged media will steal the election from him, and that all those women—no matter how many of them come forward—are lying.